Today we celebrate the (Inter) National Rum Day and of course i must make something that contains this noble spirit and make a toast for everyone that have had any part in the invention and creation of this sugarcane spirit called rum, ron or rhum and all who enjoy it and promote it! This is one of the most varied and versatile spirits on this planet and it´s no secret which spirit i enjoy the most of all – RUM! So let´s toast for the Rum Day and enjoy a glass or two! 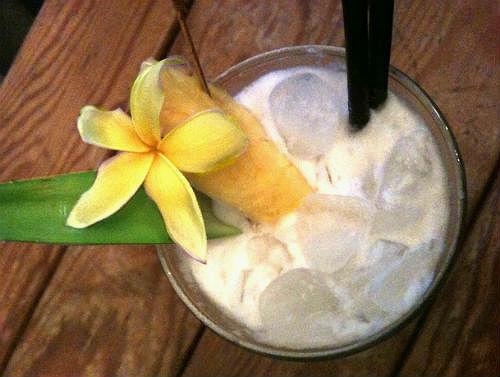 i`m in a summer mood so i`m gonna make one of the most common summer rum drinks there is – the Pina Colada which – in my opinion is an underrated drink. 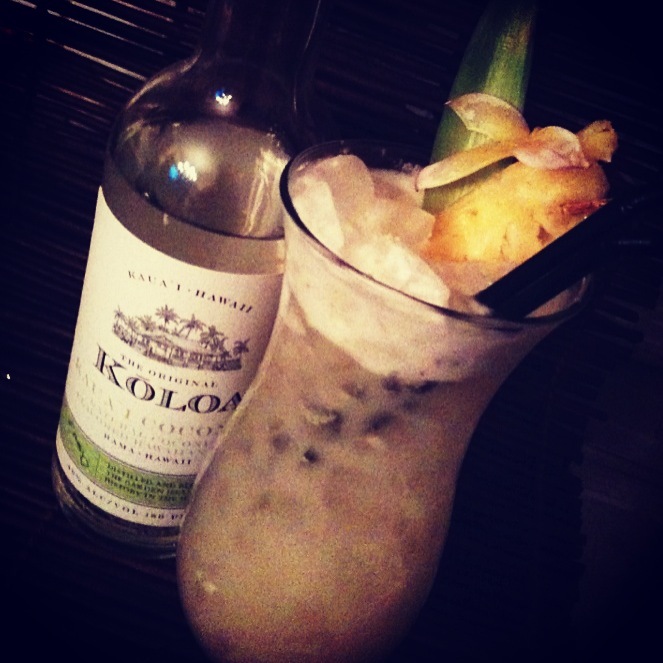 And i`m gonna use a rum that i just recently got to try and which i will review here in a while, the Koloa coconut rum from Hawaii which is made with real coconut. Also the cream of coconut i`m using here, Coco Real is made with real coconut and not artificial flavorings same as Coco Lopez. If you can`t find cream of coconut (NOT the same as coconut cream which is the thicker coconut milk) the use of coconut milk as substitution or a coconut syrup won`t be the same thing – so try get cream of coconut, it´s a key ingredient. The name ‘Pina Colada’ literally means ‘strained pineapple’ – a reference to the freshly pressed and strained pineapple juice used in the drink’s preparation. Three Puerto Rican bartenders contest the ownership of their country’s national drink. There ya go! 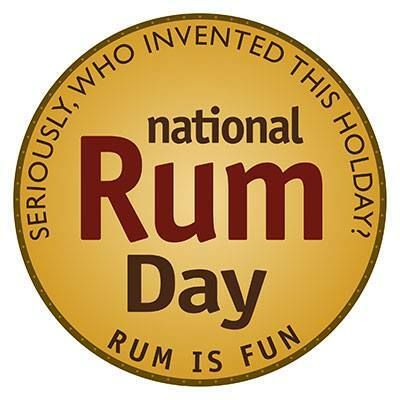 Happy Rum Day! Previous PostPrevious TOTC 2013 – The Tastings! Bloody Mary, Bayou Rum, Bulleit Mint Juleps and Ole Smoky Moonshine!